The doors that led to my geophysics career. Today, I am at the University of Saskatchewan. I am here to attend the 44th annual conference of the Canadian Science Writer’s Association. I hope to learn to be a better writer (maybe this Bad Beekeeping Blog will become less of an invidious palaver). 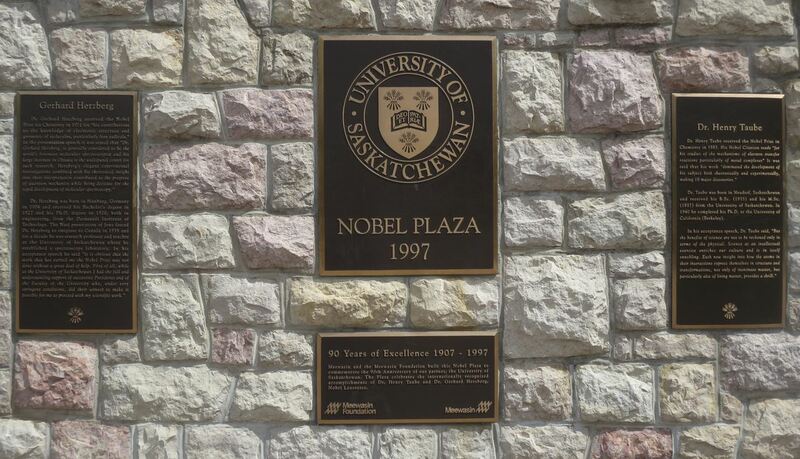 But I am also here – at the U of S – to visit my alma mater, the campus where I earned my geophysics badge 25 years ago. I had not seen the campus in 20 years. The last time I was here, I was interviewing science graduates and trying to entice them with promises of fun, games, and money at a company I worked for in Calgary. That was 20 years ago. The intervening years were busy: I was diagnosed with motor neuron disorder, I married, had two more children (they are now 8 and 13), and I built a honey farm near Calgary, then sold it. I also traveled at least once to Chile, Vietnam, Peru, Croatia, Hungary, England, Ireland, and nine other countries. But I had not come back to the university. Until today. I met two of my favourite profs. Jim Merriam, my geophysics mentor, and Chary Rangacharyulu, my main physics professor. Both became heads of their respective departments while I was away. Surprisingly, they both recognized me, though I’m afraid that I changed much more than either of them. My 25 years out of school were rough, and it shows. But these gentlemen – and other professors I met today – looked like they had just finished a lecture they taught me and my mates in 1991. We chatted about the school, their lives and families. It was a great visit. I met others who remembered me at the school, too, though many of my associates had retired. We are aging. The University of Saskatchewan is a beautiful campus. There are gorgeous trees, expansive green stretches, and most of the buildings here are constructed from sandstone blocks – many of them chiseled a hundred years ago from local rock. The school may seem obscure to you because it sits in a small city in the middle of a big province in a big country. You would be surprised to discover that two Nobel Laureates did their research here. 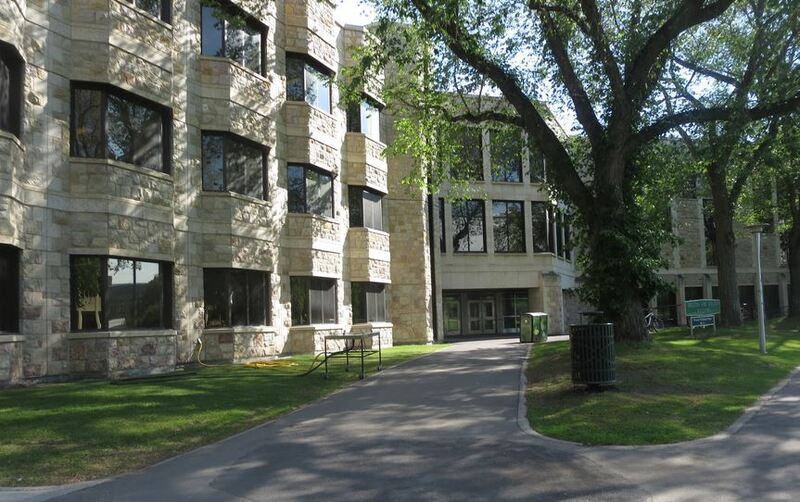 The school has North America’s finest veterinarian college and has produced oodles of ag-scientists and geologists. Someone who works on the Arts and Sciences Scholarship Committee at the University of Saskatchewan told me that they had received a nice grant a few years ago. (I was not told the source of the money.) It was to be used for a scholarship open to any student, in any area of study, unless the recipient was a bad beekeeper. The university committee realized at once that the bad beekeeper was me. They likely thought it was quite funny, as do I. I knew that a few people from among the Saskatchewan bee community were wary of my success. I never thought they would immortalize me in such a charming way. I’ll have to learn more about this so I can contribute to that fund myself. This entry was posted in Friends, Science and tagged Canadian Science Writer's Association, Chary Rangacharyulu, Jim Merriam, Saskatchewan, University of Saskatchewan. Bookmark the permalink.